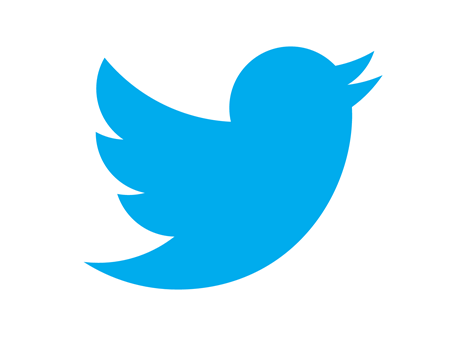 Has Twitter Inc (TWTR) Platform Become Indispensable As Chris Sacca Says? Twitter Inc (NYSE:TWTR) stock went up by a whopping 6.2% on Tuesday, mainly due to the fact that the company has introduced a new timeline feature for testing. This feature has gained a lot of attention from investors. Many feel that Twitter Inc (NYSE:TWTR) is one of the hottest social media property, which has huge potential and its functionality is way different from the likes of Facebook Inc (NASDAQ:FB). But many other feels that the Twitter Inc (NYSE:TWTR)’s management is not up to mark, which might impact the business in future. Lowercase Capital Founder, Chris Sacca shared his opinion on CNBC about Twitter Inc (NYSE:TWTR) stock and his excitement about the upcoming launch of “Periscope” service by Twitter Inc (NYSE:TWTR). Sacca is one of the early investor in both Twitter Inc (NYSE:TWTR) and Uber. Sacca feels that Twitter Inc (NYSE:TWTR) is slowly is becoming indispensable, not just from the media standpoint but also from the economy standpoint. He thinks that the interaction between companies and consumers is becoming richer and richer. He said that due to these reasons ad dollars starts to flow into Twitter Inc (NYSE:TWTR). He pointed out that Twitter Inc (NYSE:TWTR) advertisements gets more user engagement. Twitter Inc (NYSE:TWTR) has acquired the live video streaming startup ‘Periscope’ earlier this month. This acquisition adds new dimension to Twitter Inc (NYSE:TWTR)’s platform. This acquisition also excites many investors. “Yes, Periscope is […] coming any day. [..] But personal live video broadcasting platform as the company has in the words. I have got a beta, I have a camera right here in the studio, that is broadcasting what I am doing with you to all my followers on the service. Its absolutely amazing. So far on Periscope I have seen incredibly touching moments. […] Its going to be an incredible service. What we are going to see is more and more users coming on there and that video is going to be not just compelling and drive multi-active users on the service. But that is going to be one of the richest form of monetizable data we have ever seen on the net,” Sacca said about Periscope. Periscope has innumerable and extensive potential to generate a lot of money for Twitter Inc (NYSE:TWTR) in the future, which should be the main reason behind bullish look on Twitter Inc (NYSE:TWTR) by many investors like Sacca.